ARCO/Murray recently completed a 57,000 square-foot laundry build-out for Cooperative Laundry in Kearny, New Jersey. The new facility will serve the New York City metro area hospitality market. 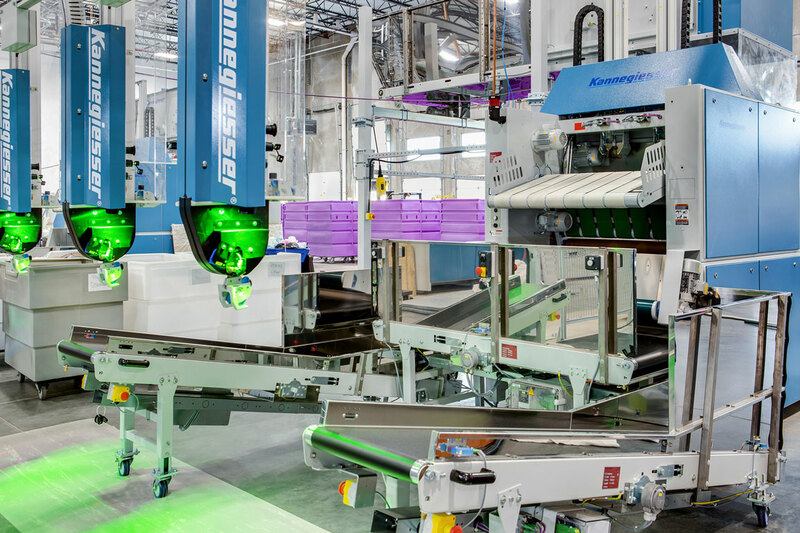 Cooperative’s new facility is one of the most technologically advanced laundries in the United States. The automated laundry equipment and rail package supplied by Kannegiesser E-Tech is fully integrated to maximize productivity and minimize operating costs. The facility also includes spot cooling to increase employee comfort, lint fans to improve plant cleanliness, Miura boilers and Kemco process water systems to minimize water and gas consumption, LED lighting to reduce electrical usage, and a centralized control center to track and manage the laundry production. ARCO/Murray provided a custom design-build solution including architectural and engineering design, construction drawings, permitting, main utility upgrades, building construction, mechanical/electrical/plumbing installation, and final equipment connections. ARCO/Murray’s Steve Lane was the project manager with John Holdmeyer serving as superintendent.